Next weekend, I’ll start working for my better half for the foreseeable future, which made using Sunday well more than usually important. 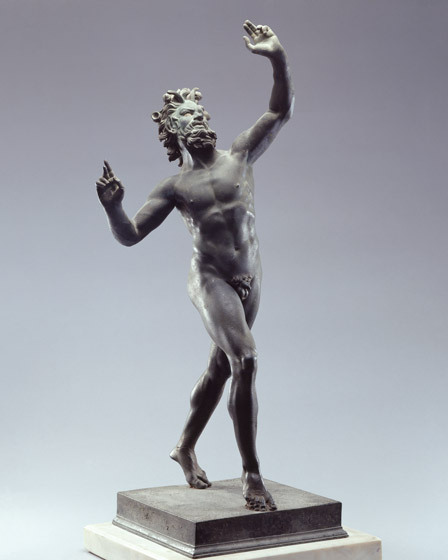 At the National Gallery of Art, an exhibit called Power and Pathos: Bronze Sculpture of the Hellenistic World was going to be winding down and having blithely ignored numerous opportunities to see it, today (or, rather, that day) needed to be the day. I’m sorry, but I was disappointed. There were some wonderful pieces (a weary Herakles leaning on his club and the head of a poet), but only one that was truly powerful (a statue of the god Pan) and more than a few ‘meh’ pieces and, certainly, I didn’t feel much power nor pathos (besides alliteration, what was the ‘pathos’ supposed to be?). You still try to get a nugget of something interesting from any exhibit and for me, that was the head of a poet. It was labelled a poet because his hair was longish and his beard full and those were the signs of a poet. 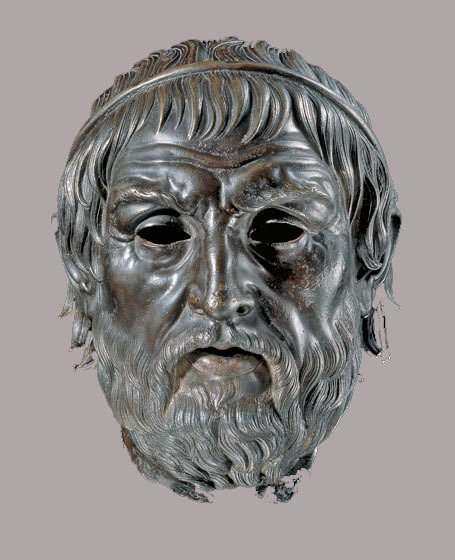 philosopher, or intellectual (and, in the late ancient world covered by this period, an intellectual would frequently also be a philosopher and poet; there wasn’t so much parsing of the difference back then). The idea was that they were less influenced by vanities, so let their hairs grow out. So, the idea of the shaggy poet or thinker wasn’t an invention of Parisian bohemians, nor Greenwich Village poets, nor any other group from the last two thousand years, but dates all the way back to ancient Greece. After finishing the exhibit, I kept wandering around the museum, stopping in some galleries to look at some nineteenth century landscapes. I walked towards one of the atriums when a woman walked in front of me, handed me a program and asked me if I was here for the concert. 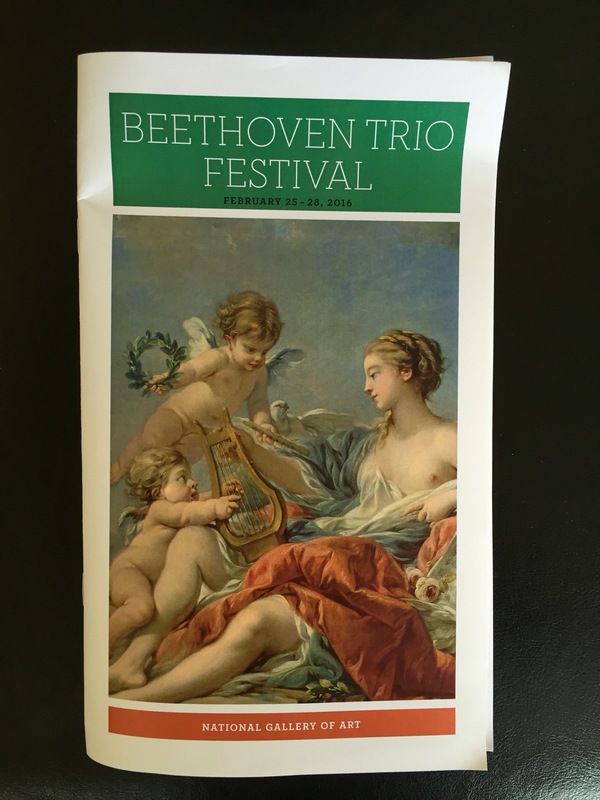 Apparently, the National Gallery of Art had spent the previous two days doing several concerts a day in order to complete a cycle, as it were, of Beethoven’s trios. This particular concert would be his final string trios (which were actually early works; he moved on to string quartets after composing these). The first one was a string trio in G Major and the players ended the trio so abruptly that we (the audience) was stunned into sudden and sustained applause. It was a very odd moment, as if a long silence had been ended by an invisible man suddenly clapping in our ear. We kept to our feet not because the performance was good (though it was), but because shock impelled us. The second trio, in D Major, had a menuetto as its penultimate movement and I just loved it. Beethoven should have done more dances. The third, in his famed C Minor key, was surprisingly upbeat for a chamber piece in a minor key. The acoustics felt good, which is not always the case in there. The sound was clear and very, very bright, with the inevitable echo being an inconsequential factor. Just an awesome coincidence that I walked in on it.